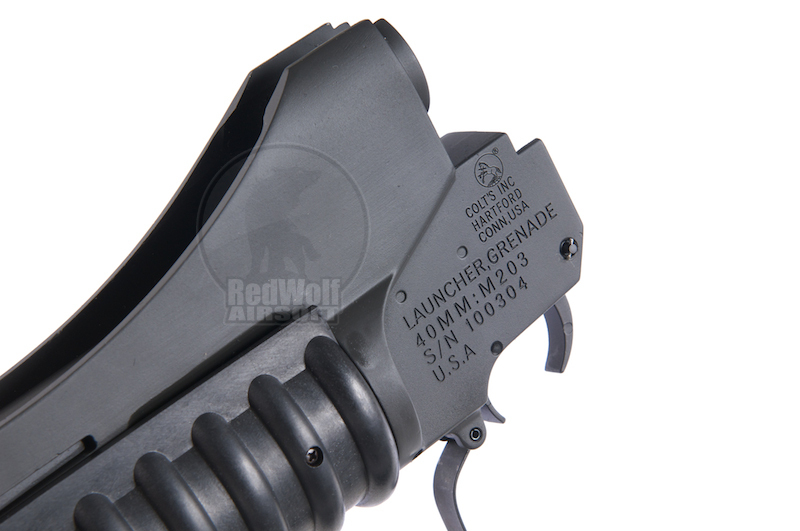 The G&P M203 grenade launcher (military type) fits the G&P M4 Front Set & stand-alone grenade launcher pistol. 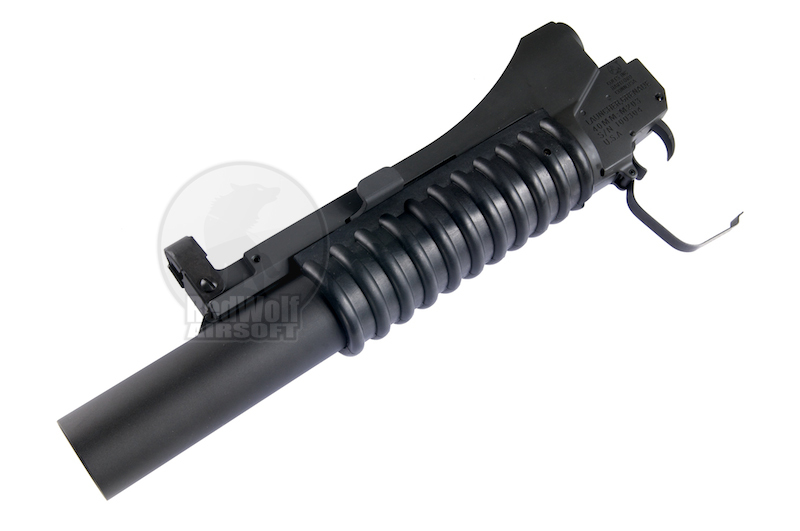 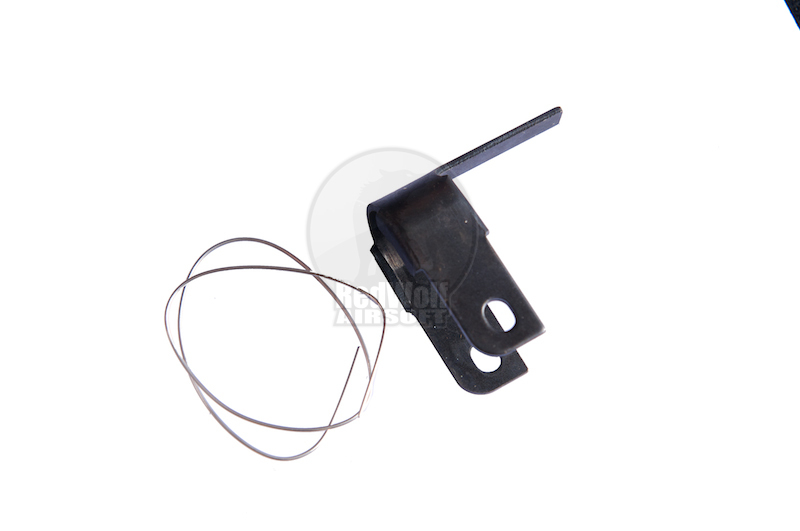 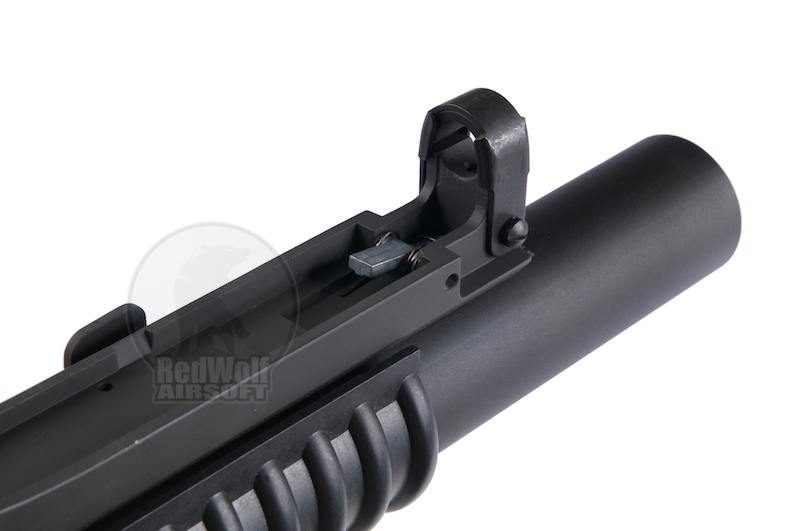 It is constructed completely out of metal, with the exception of a Fiber Reinforced Polymer hand guard. 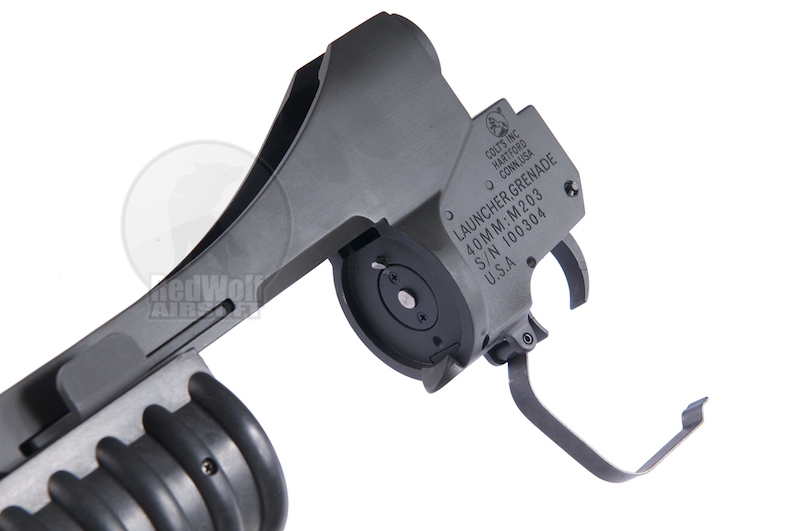 Click here for the Short model (military type).